For some people, their goal is to see how far back they can trace their family. They may want one or more branches of their family researched and to see a Family Tree Chart that shows the names of their ancestors going back several generations. While basic genealogical facts provide a foundation for family history, they do not tell you anything about the social history of your family. If you are interested in how your ancestors lived you will want to have more than birth, marriage and death records. If you are interested in local and social history you may like to receive a set of photographs taken in your ancestor’s townland. 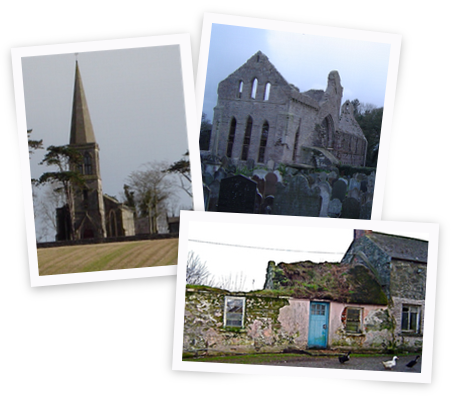 Beverly is prepared to visit the parish or townland in County Down that your ancestors came from and take digital photographs of the area. This might include the old homestead (if it is still standing), the church where your ancestors worshipped, headstones in the local graveyard and views of the surrounding area. A maximum of 50 digital photographs will be burned on to a CD at a high enough resolution for you to print out, or, if you prefer, you can receive the printed photographs. All findings are presented in the form of a written report, with a full explanation of research carried out. To make any research as efficient as possible it is important that you let Beverly know what information you already have about an individual or family. The initial consultation (by telephone, email, or in writing) – and reply – is free of charge. Research is charged at £20 per hour inclusive of research time, travel costs, preparing reports and email correspondence. Photocopies of documents from Record Offices (Birth, Marriage and Death Certificates) – and postage – will be charged to the client at cost. The full holdings of the General Register Office of Northern Ireland can now be accessed at PRONI, at a cost of £2.50 per digitised record. This cost will be passed on to the client. A Photographic Family History costs £120 for a day’s site visit (all inclusive). Special rates can be arranged for full-day research. Please get in touch to discuss your requirements. Research is always carried out in stages, with an agreed budget for each stage.